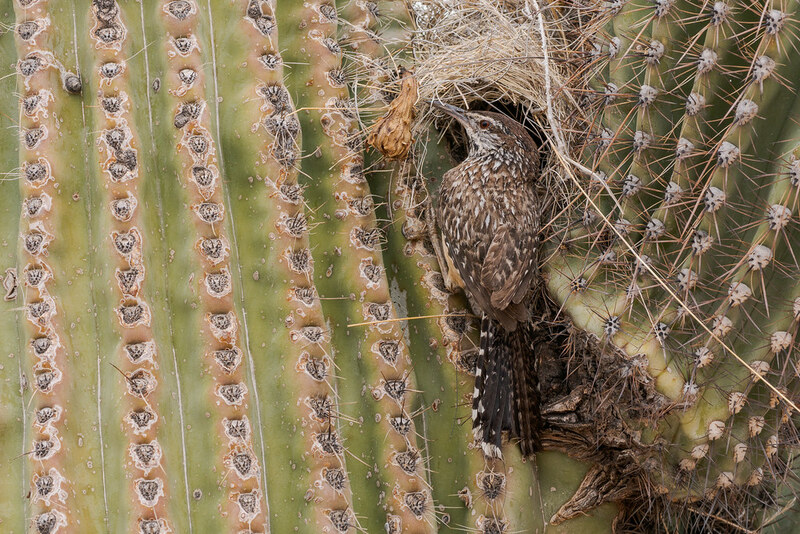 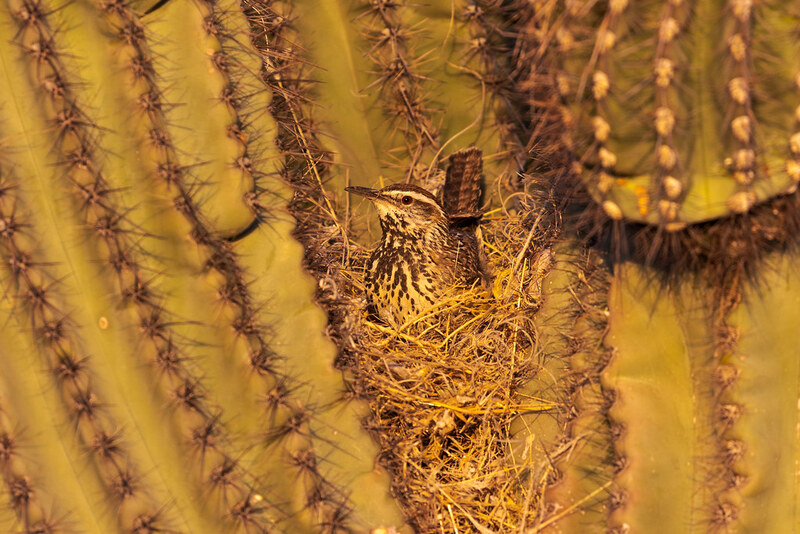 Saguaro fruits provide a handy perch for a young cactus wren, now fully fledged, born in a nest in the arms of this self-same cactus. 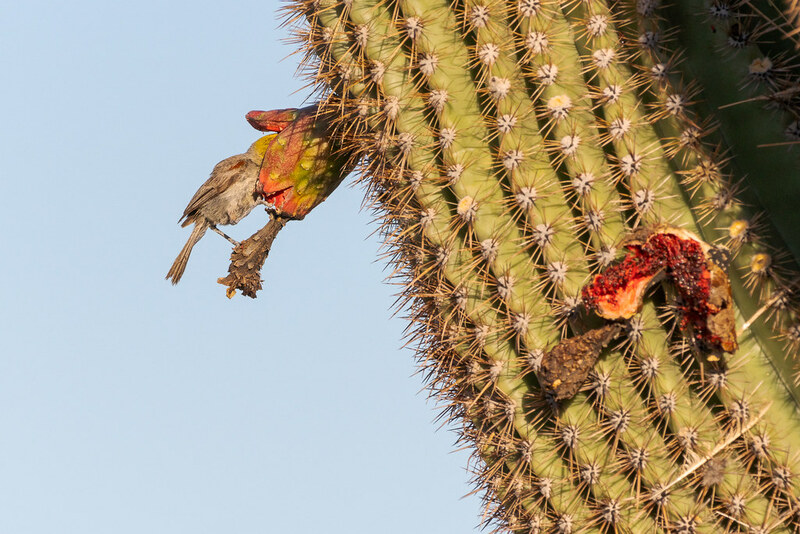 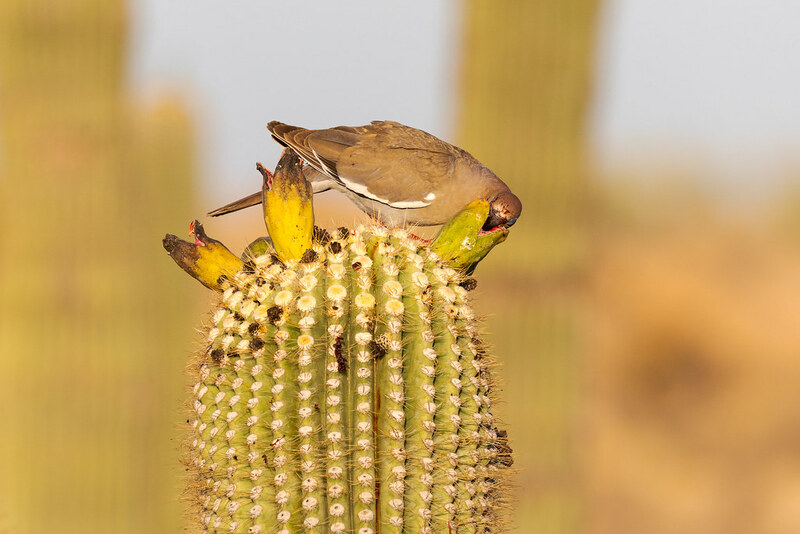 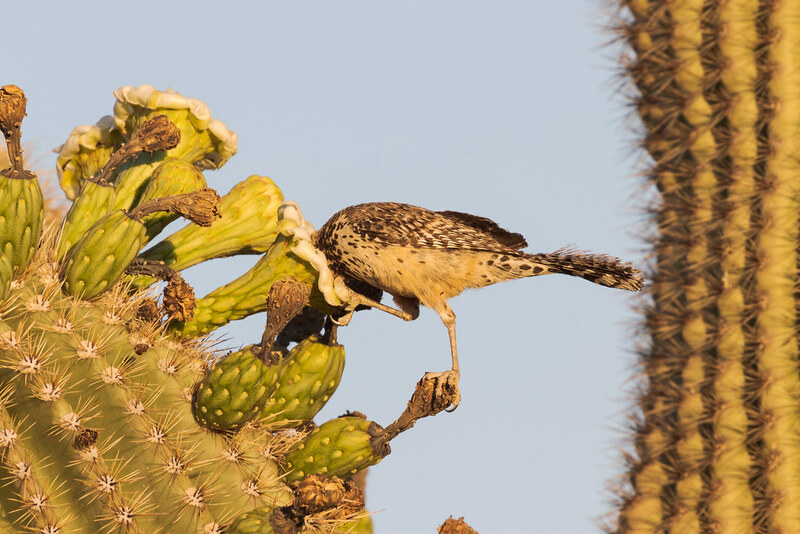 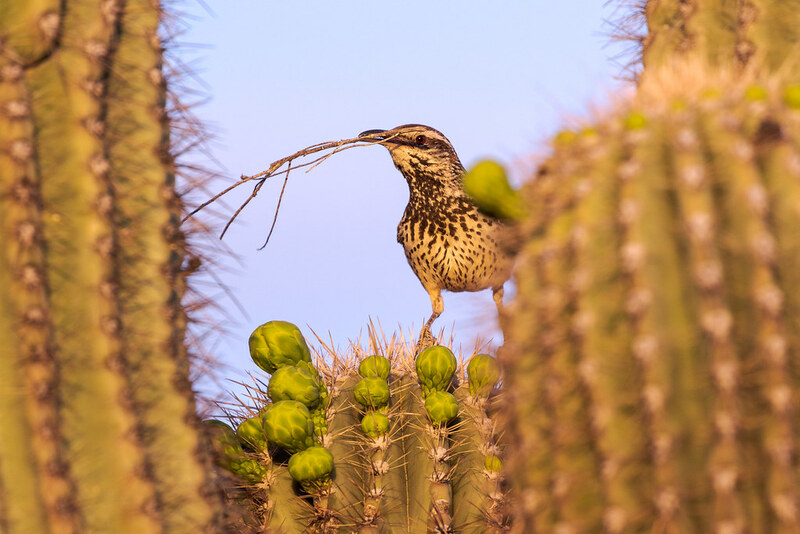 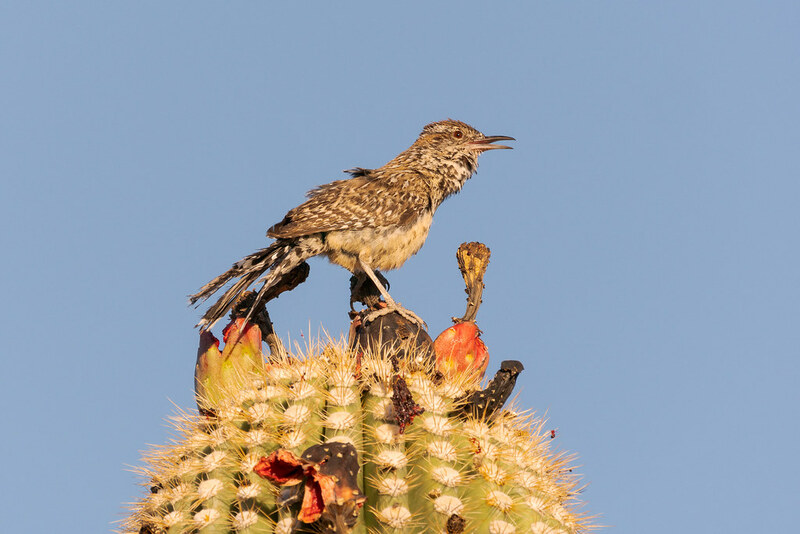 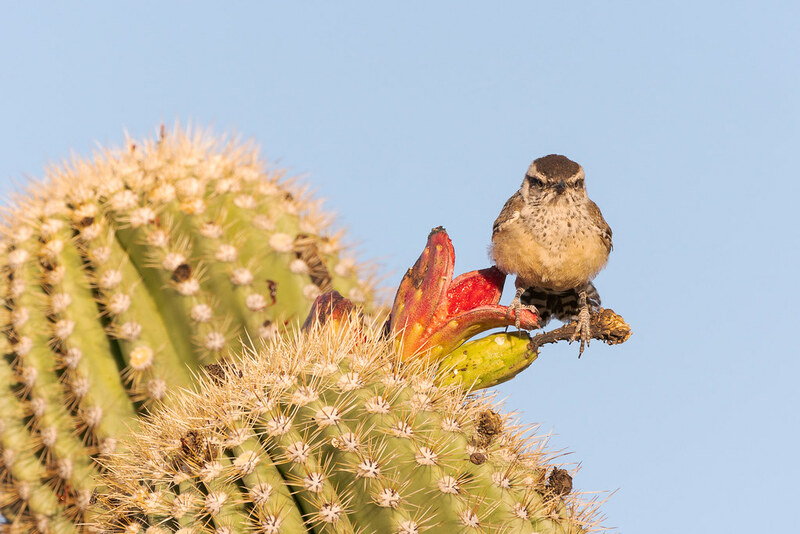 A cactus wren sings amidst mostly eaten fruit atop a saguaro on the Latigo Trail. 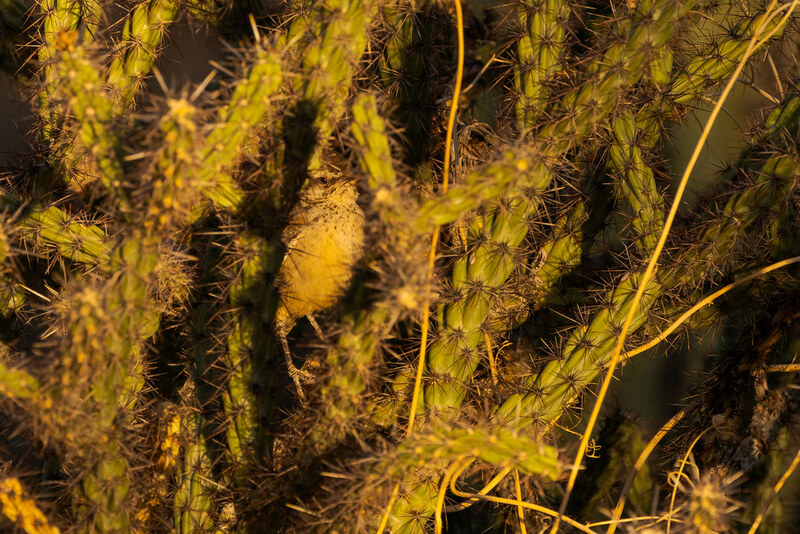 Its feathers were looking rather ragged, understandably so, it had just raised its young in the harsh desert environment.